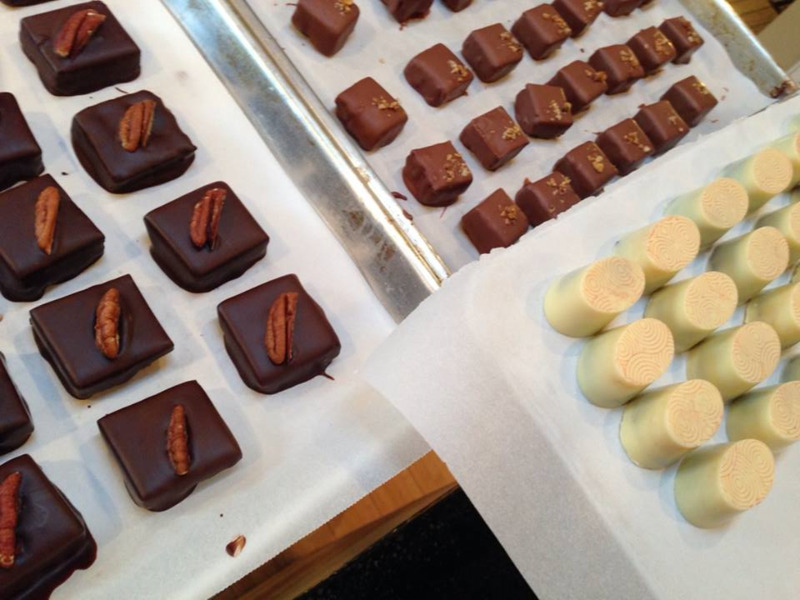 A purveyor of handcrafted, small-batch, artisan chocolates. At LaRue Fine Chocolate we use only the finest ingredients. We proudly feature local and organic ingredients such as Bee Well honey, Happy Cow Creamery butter, Bulls Bay sea salt, Queen's Cupboard sugars, and Nellie T's peanut butter. Elizabeth was raised in Easley SC. After graduating from Lander University she was a Fine Wine sales representative for more than a decade and is a Certified Specialist of Wine through the Society of Wine Educators. She was making chocolates and confection as a hobby and decided to make the plunge and become a professional. She is a graduate of the Ecole Chocolat , gaining a Professional Chocolatier certificate with honors. She has also achieved the rank of Maitre Chocolatier from the same school. Elizabeth prides herself in achieving a balanced flavor profile and unique flavor combinations to excite and entice the senses. She is committed to using local, fresh, and quality ingredients. The company was named in honor of my Mother, Dora LaRue Smith Logan. She hated her name, but I always thought it sounded like she should have been painted on the side of a B-17. My Momma was a badass.....she served in the Army.....she raised four boys and then gave birth to me at the age of 40. She was strong, kind, gentle, and full of love--not to mention one hell of a Scrabble player. She died October 1, 1996. She is still greatly missed.